Baking with Baby, part 3. Two things - 1) I am really starting to think we have the perfect kitchen for a having a family (at least for a moderate-sized apartment) and 2) bananas quickly turn brown when you are not paying attention (i.e. - baby taking up said attention and almost all of your time). We moved into our new home late summer. For a downtown apartment in the city, it was a total steal. All of the newer apartments around town are so small and look like identical little boxes. When we found our spacious 2-bedroom with an awesome layout and completely remodelled, I knew we were in luck. We got the square-footage and interesting layout of an older building, but with the perks of a new condo like all wood flooring, stainless steal appliances, modern surfaces, etc. The living room is my favorite. It is located in the corner of the building and steps down from the rest of the apartment. The best part are the bay windows on both the north and west side, making the space extra inviting with an abundance of natural light. On the south wall, there is a raised countertop with an open passage way to the kitchen. The counter extends all the way into the kitchen, giving me tons of extra room to cook and bake on. And let me tell you, I use every square inch of it - no matter what I am making. From my kitchen, I have the best view of said living room. Through the "window" I can keep an eye on the baby in his swing and have conversations with the husband while he does his work on the opposite side of the counter. And when baby is no longer happy in his swing (unfortunately it only keeps him occupied for about 15-20 minutes at a time before he starts protesting), then my giant countertop serves another key purpose - babysitting. Apparently, Baby Huff loves being in the kitchen as much as his momma. And while he is not nearly big enough to start cooking (he can't even hold up his own head yet), he does seem to enjoy watching me cook. 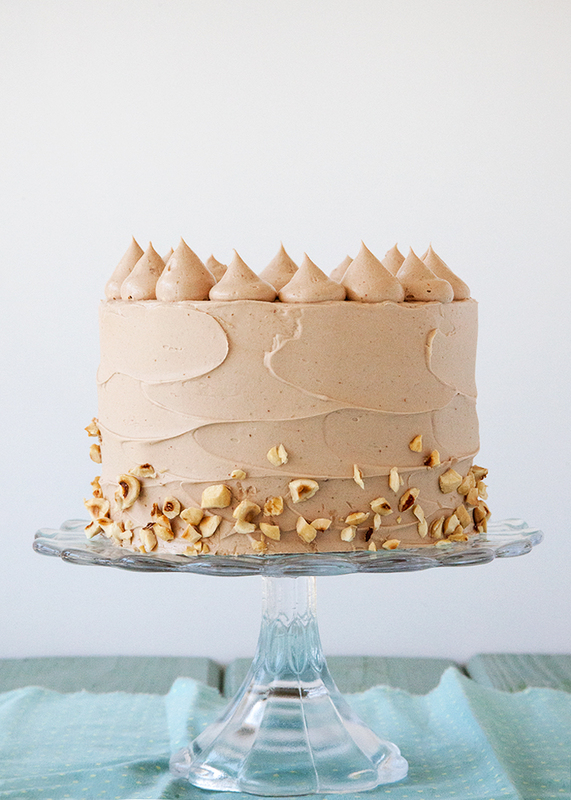 When I was pregnant I was not sure how I would keep up with all of my baking once the baby came. I still can't get as much done as before (as to be expected), but some days I am surprised on what I can actually accomplish. So on days where I am making something fairly quick and simple, like this Chia Banana Bread, I just pop Baby H in his infant seat and put him right on top of the counter - literally baking with baby. Now that he's been working on his eye contact and smiles, both of us are pretty happy with this situation. On another note, my husband and I are banana buddies. I love them when they are still partially green and Brett likes them slightly spotted. So when we buy a bunch, I eat my portion, and whatever I don't finish, Brett gladly takes over. And in the instances that neither of us get around to eating the bananas before they turn brown, then we have banana bread. 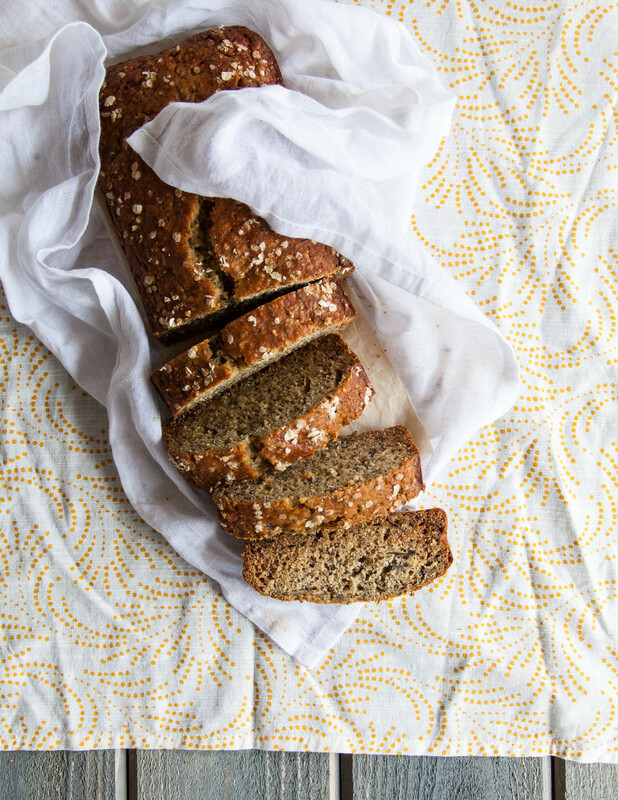 With a new baby around and our meals being less-planned as I would normally have it, these bananas were destined for this Chia Banana Bread. I've been doing my best to keep up with meal prep and planning, but sometimes it doesn't work out. 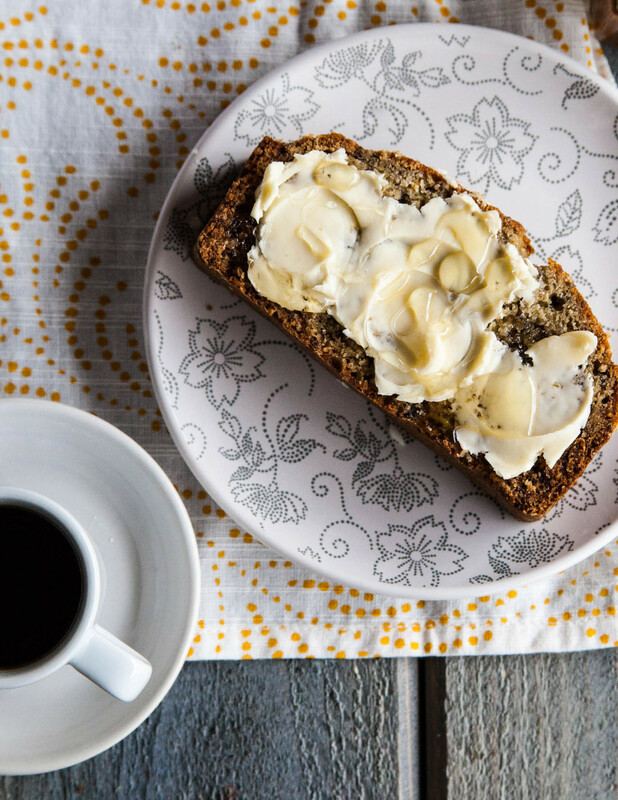 And when things don't work out as planned, sometimes you end up with something way better than you intended - again, like this Chia Banana Bread. 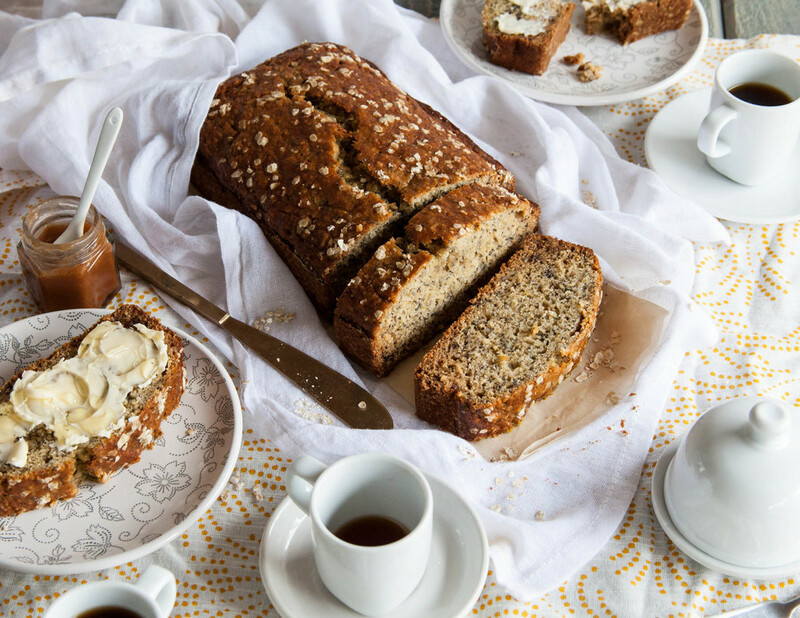 With chia, honey, and yogurt, this banana bread is super moist and flavourful. I don't know if "healthy" really describes it, but the alternative flours and sugars make me feel a little bit better about eating it for breakfast. So, when your bananas go bad and you are looking for something to whip up with one eye on your baby, this recipe is for you! Serve with whipped butter and extra honey, if desired. Preheat oven to 350 degrees. Prepare loaf pan and set aside. Whisk together the dry ingredients, including the brown sugar, and set aside. In a separate mixing bowl, mash the bananas. Stir in the honey, oil, eggs, vanilla, and yogurt until combined. Pour batter into the prepared pan and top with oats, if desired. Bake for 40-60 minutes or until done and a wooden skewer inserted in to the center comes out clean.